Kerstin Bailey, the marketing analytics manager for SPIE, has a word of encouragement for optics and photonics professionals working in the defense sector, to counter recent nerve-wracking news about the U.S. budget sequester. 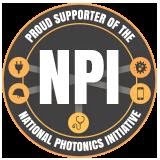 "From the information I see about our community, optics and photonics defense professionals should not be overly worried about long-term employability," she said. "While these professionals work in defense, we have seen that their interests and backgrounds cover many application areas. Their activity with SPIE indicates a broad knowledge base that is very transferrable," Bailey said. Examples of technology transfer from the defense sector to commercial use are abundant. Adaptive optics for telescopes are used in opthalmology. Sensing technologies used by the military can ensure food safety and clean water for the general public. The technology that runs the Internet, GPS systems, and microwave ovens has its roots in defense research. "Optical coherence tomography (OCT) has come a long way since its early development at the Massachusetts Institute of Technology (MIT). But there has always been one key limitation of the technique: its inability to image at depths of more than a couple of millimeters. "But that now looks set to change, thanks to OCT systems based around lasers with tunable, narrow linewidths and long coherence lengths. So whereas physicians currently use OCT to look at just the retina, they could soon be using it to sweep through the entire structure of the eye. The Washington Post “Ideas@Innovations” blog recently profiled winners of National Academy of Engineering awards, including Rangaswamy Srinivasan, James J. Wynne, and Samuel E. Blum. All are being recognized for their work in developing what have come to be known as PRK and LASIK corrective eye surgery. They will share the $500,000 Fritz J. and Dolores H. Russ Prize. Wynne, still working for IBM, has more recently developed excimer laser treatments for removing necrotic lesions of the skin.